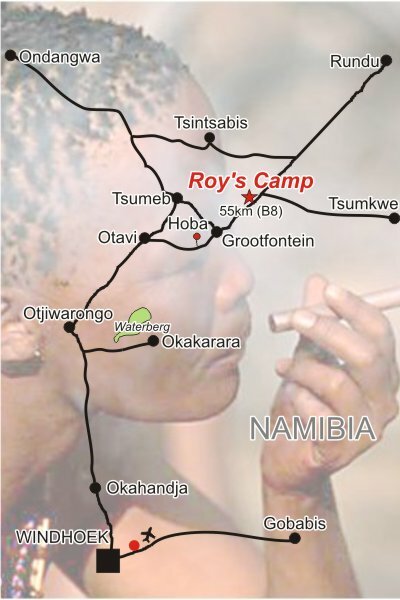 Roy's Camp is perfectly situated on the B8 main-road from Grootfontein - Rundu, 56 km north of Grootfontein. 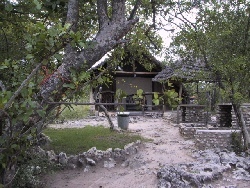 An ideal stop over to northern Namibia, Caprivi and Bushmenland, being just 230 km from Tsumkwe. Roy's Rest Camp is only a small part of the farm Elandslaagte, which consumes a space of 2800ha in total. 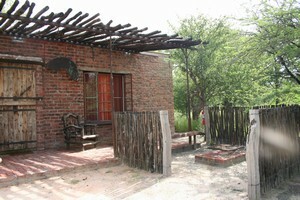 Roy's Rest Camp was started in 1995 and was built for Cattle Farming and Tourism as the main industries. 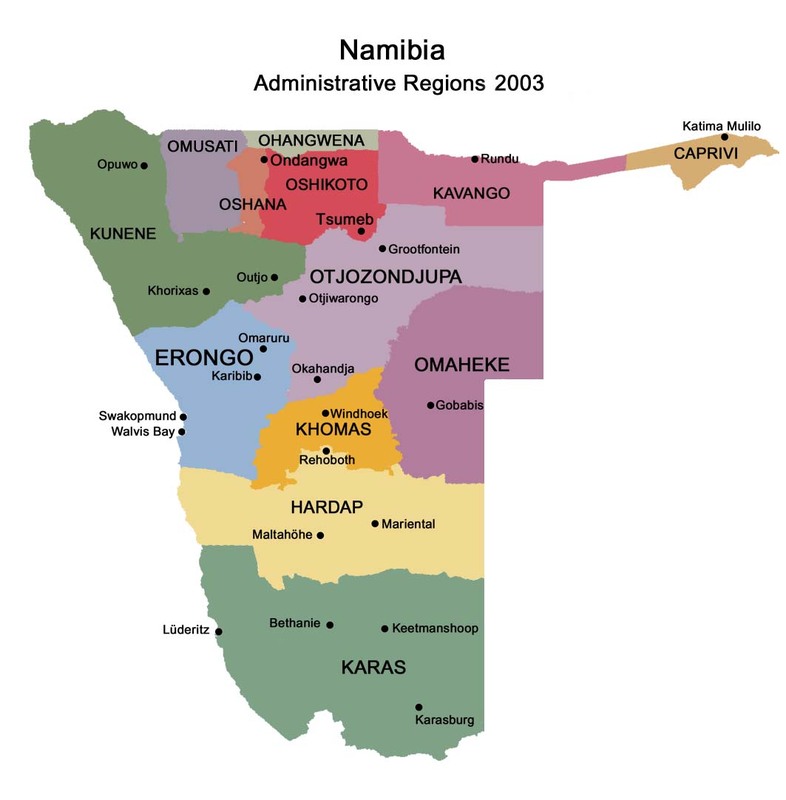 Elandslaagte is one of the oldest farms in the district of Grootfontein, and has been here since 1930. It belonged to the Alberts family and originated from the Dorslandtrek. 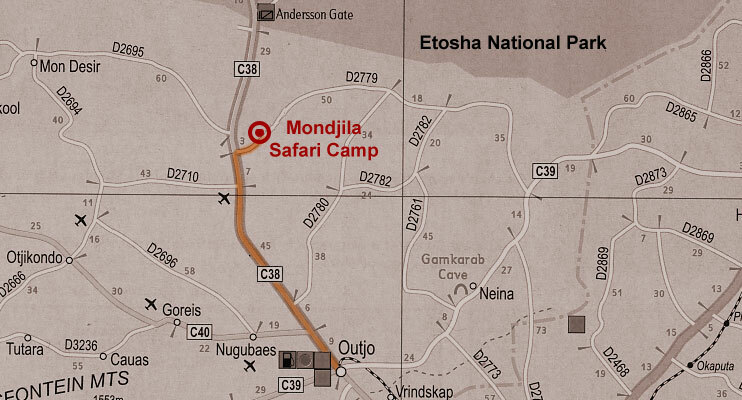 Roy’s Camp is perfectly situated on the B8 main road from Grootfontein to Rundu, 55 km north of Grootfontein. 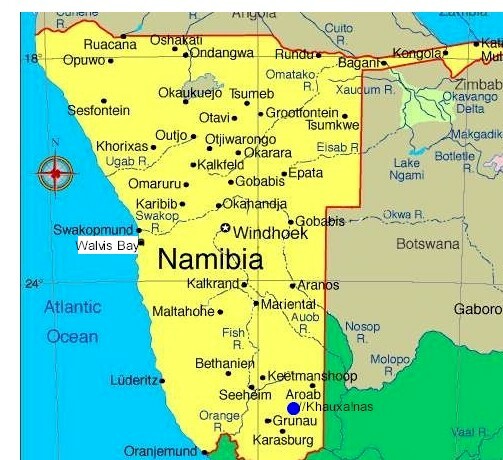 At ideal stop over to Northern Namibia, Caprivi and bushman land. 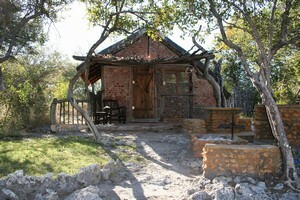 There are 5 standard rooms and 2 family rooms all with en-suite facilities and private braai areas. Bungalows of unique rustic designs. 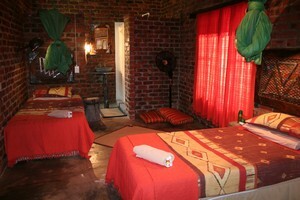 All rooms have air-conditioners and mosquito nets. Whether coming from the North, South, East or West, you will find Roy's a clean, hospitable and welcoming experience. The individual bungalows each has its own character and is placed in such a way that you experience maximum nature while here. Bungalows of unique rustic design with en-suite facilities, private barbeque areas, restaurant, walking trails, camp sites, pool, etc. 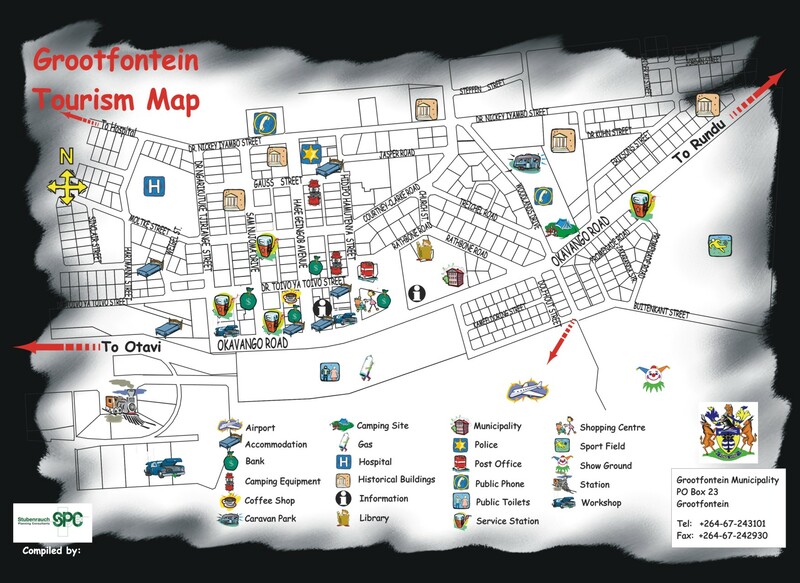 We offer 16 camp sites with braai facilities and hot water at the ablution block and bush kitchen. Also within walking distance of the swimming pool and dining area. Thatched dinning area, bar, swimming pool, curio shop. Walking Trails for bird watching and game watching You can also visit to the Traditional San (bushmen) village about 86 km from Roy’s Camp. • Bird and Game viewing - information leaflet available. The San Village is a community project in Bushman land and is situated 86 km from Roy`s on the C(44), just past the Rooidag veterinarian checkpoint. 80 Km of the gravel road is normally in a good condition but the last 6 km should be done by a 4x4 vehicle or 2x4 pick-up with a “sand experienced” driver. Shuttle service for day trips with a guide can be arranged from Roy`s Camp. Bookings must be making prior to arrival. 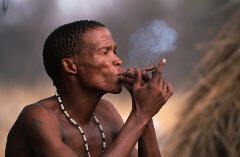 San activities are directly payable to the community.